Cracked and leaky gutters are easy enough to fix or replace, so you need not let it become a bigger problem. Our roofers can deal with it straight away. No matter how big the task, our expert team can handle all kinds of roof work. 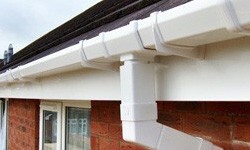 Guttering damage can also cause your roofline to become damaged too. As a courtesy, we will watch out for signs of this as we work. Our primary concern is keeping your roof safe and weatherproof. We always strive for quality results and customer satisfaction. Your roofline is safe with us! When your gutter breaks, it's vital that you get fast and reliable gutter repairs. We know that your roof is one of the most important parts of your Glasgow home, protecting your property from the elements, so we spare no expense at giving you top quality workmanship every time. 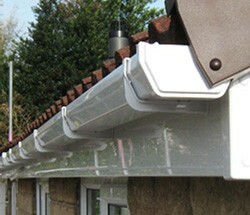 Give us a call now on 0141 340 9604 to discuss your gutter repairs. Our roofers have years of experience in gutter repairs and guttering in Glasgow so get in touch!